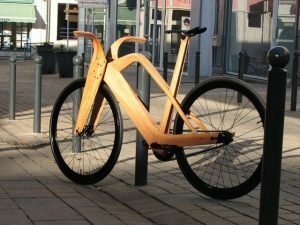 Discover some exceptional bikes offered by different inventive designers. Pure control, raw adrenaline: prepare to be amazed by the Get Insane crew’s crazy creativity. 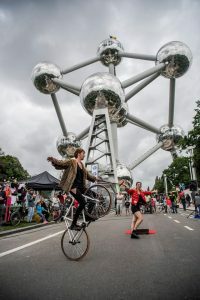 The ‘Ça Sent le Roussi’ circus produces playful spectacle pieces which leave no bicycle part unturned. Expect creativity, acrobatics and humour! 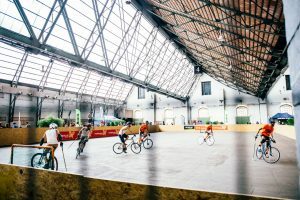 Staunch and sturdy yet meticulously precise, highly technical yet dazzlingly spectacular: such is bike polo. 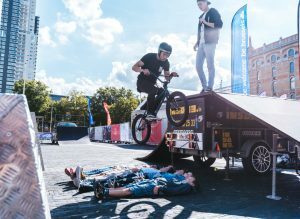 Impressive feats of athleticism, and beautiful fixie bikes, come together for thrilling sport performances! 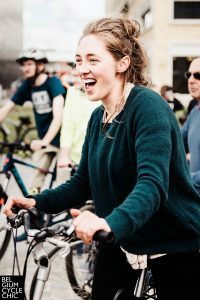 “Show me your bike, and I’ll tell you who you are.” The world-wide Cycle Chic movement acknowledges the bike as a means of expression and identity formation. 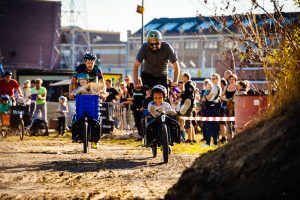 Participate in Brussels’ emerging bike culture! 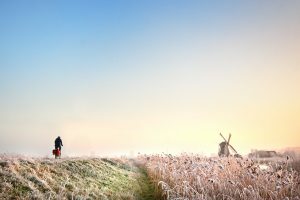 Whether you go far or less far, you start biking from your home or transfer to your bike along the way, you travel uncharted paths or thoroughly prepared: traveling by bike equals adventure and freedom. Tons of tips, heaps of inspiration! Cycling is fun, but sometimes getting cycled around is even more fun! 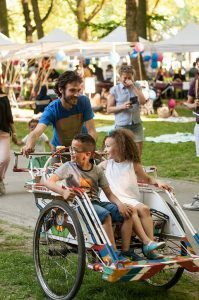 On Saturday, a festive cargo bike parade will leave from Bike Brussels to join the Fête de la Charge!